Water washes all things clean, renews the earth and calms the world. Blue biblically represents the Word of God. 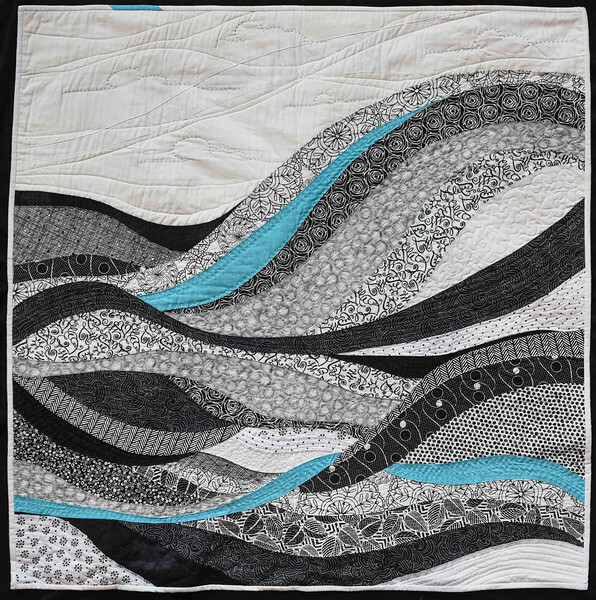 This quilt represents the sea, the water washing over us and making our spiritual sense clean. Just as the hand-stitching shows, we as children of God are imperfect, yet loved the same.